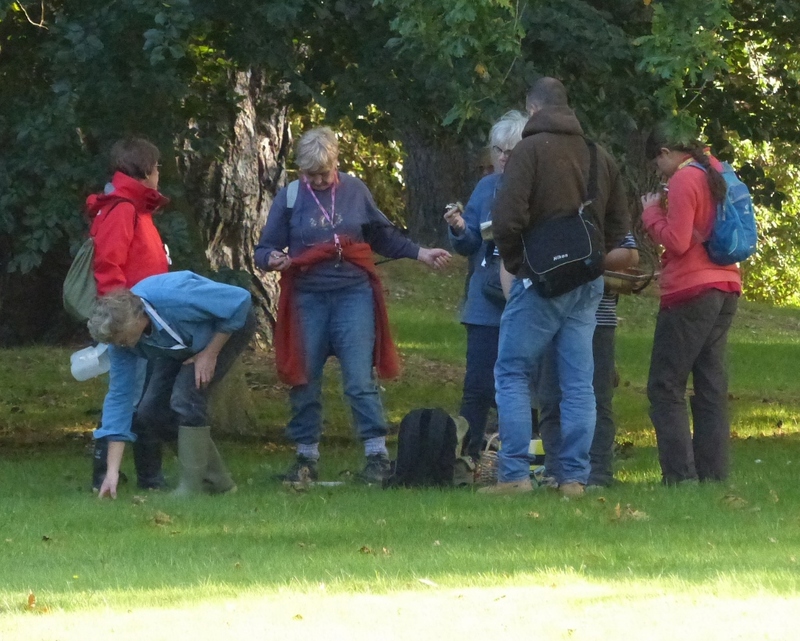 Our fungus foray on Saturday 3rd October on the Osborne Estate was a great success. 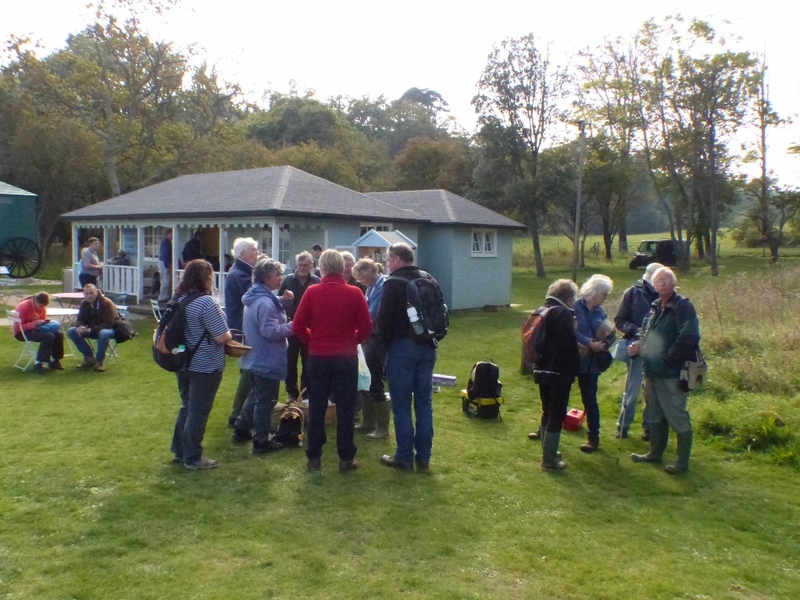 We were joined by several experienced mycologists from the mainland: Alan Outen from Bedfordshire and members of the Hampshire Fungus Recording Group. 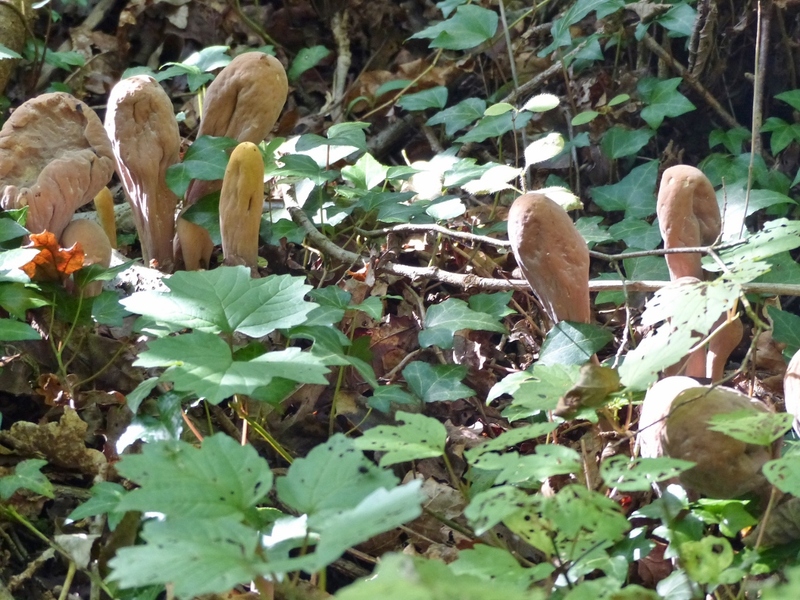 We had superb weather and we recorded in total some 200 species, a record number for us. 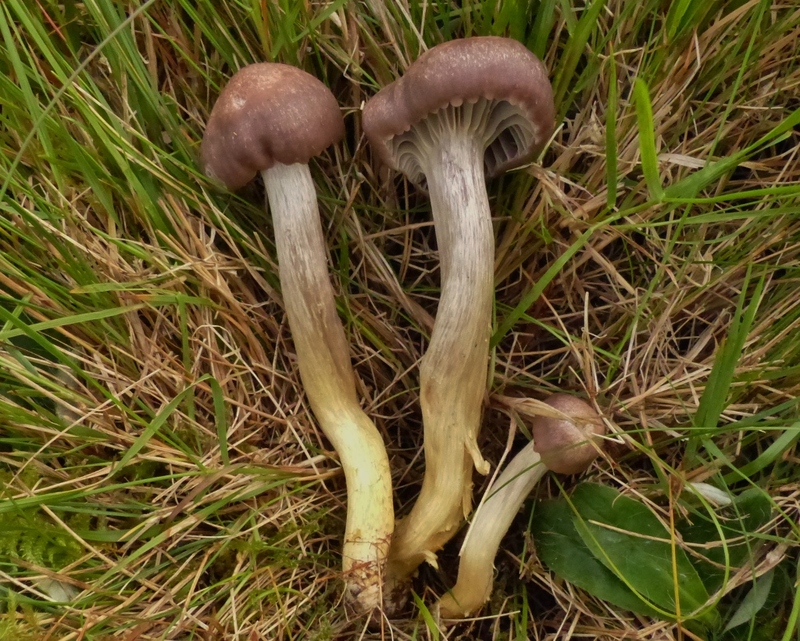 Interesting species included the Slimy Spike-cap (Gomphidius glutinosus), last recorded from the Island in 1940 (left) and the Fibrous Waxcap (Hygrocybe intermedia), one of our rarer waxcaps only known from Osborne (right). 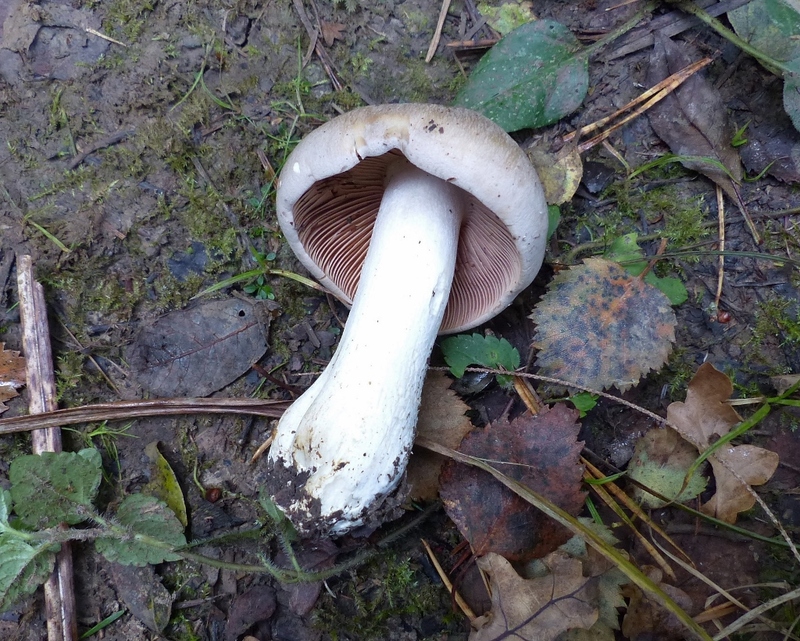 On Sunday, a few of us spent the morning in Combley Great Wood and had a very successful time, recording over 130 species. 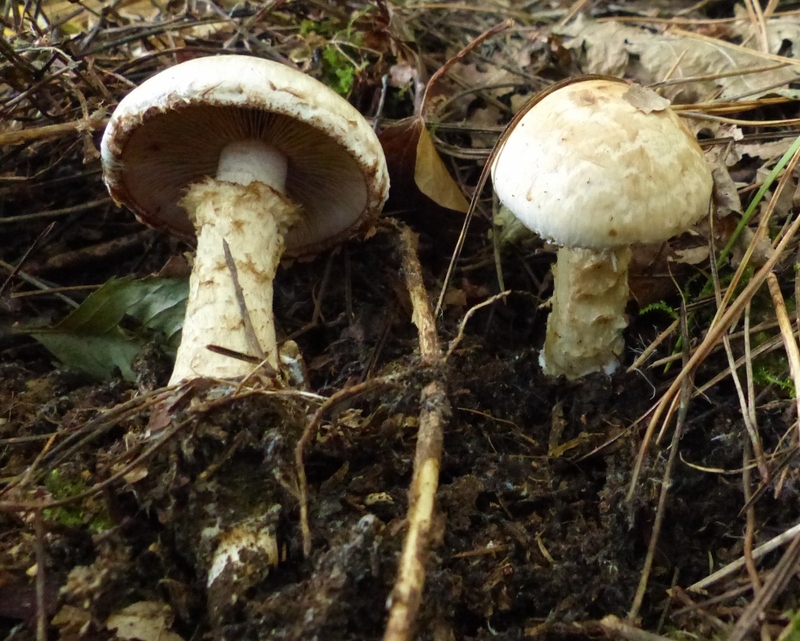 These included infrequently seen species including the Rooting Poison-pie (Heboloma radicosum) (left below) which has a tapering root-like stem base which arises from underground mole latrines; and the Lead Poisoner (Heboloma sinuatum) (right below) a chunky toadstool which is responsible for around 10% of all fatal fungal poisonings on the Continent. The find of the weekend was made by Mike Cotterell. 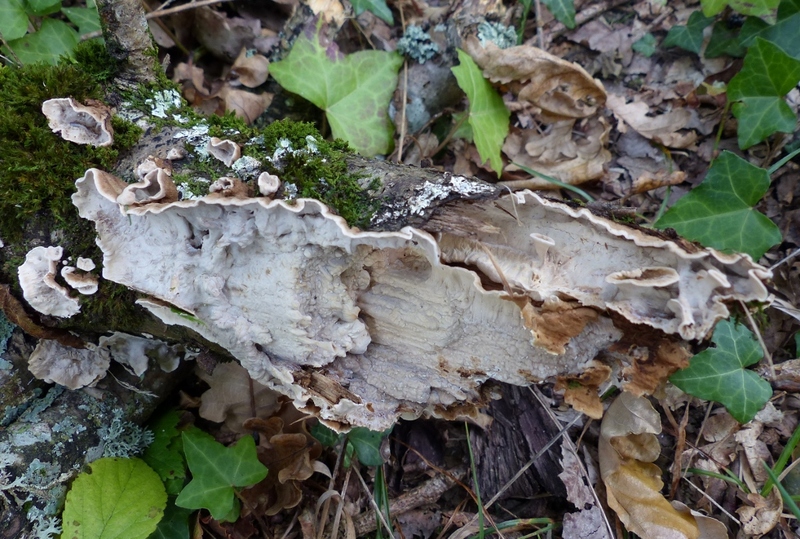 It was a resupinate fungus growing on a fallen oak branch (left below) and identified by Alan Lucas as Laxitextum bicolor, new to the Island and rarely recorded nationally. 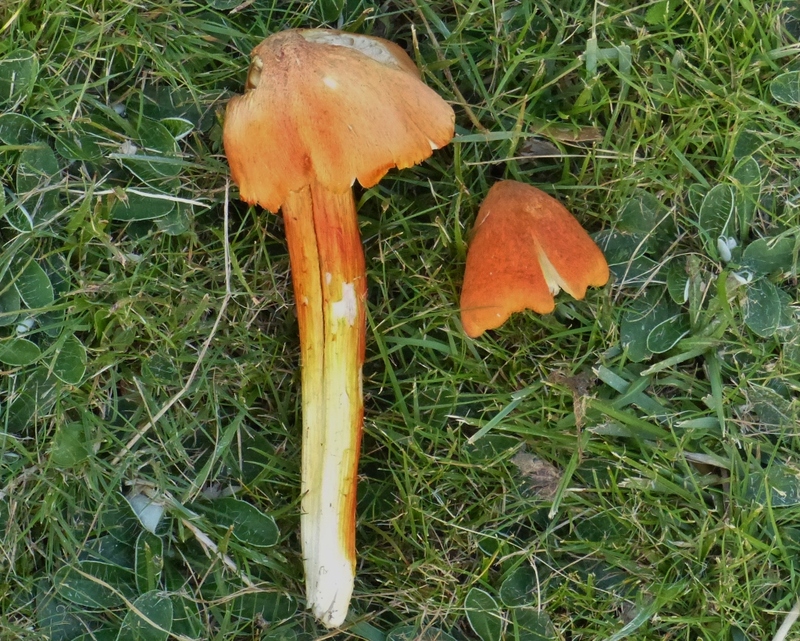 The finale of our foray was a remarkable ring of over 50 Giant Club Fungi (Clavariadelphus pistillaris), an uncommon species which has individual fruiting bodies like yellow to brownish goblin truncheons up to 30cm tall (right below). A full list of our finds will be published on the website in due course.